Today’s post is a little different than my typical DIY, Design, and Delicious Recipes post. Frankly I haven’t been doing too much DIY or Design stuff because we’ve been too busy outside enjoying our short summer. 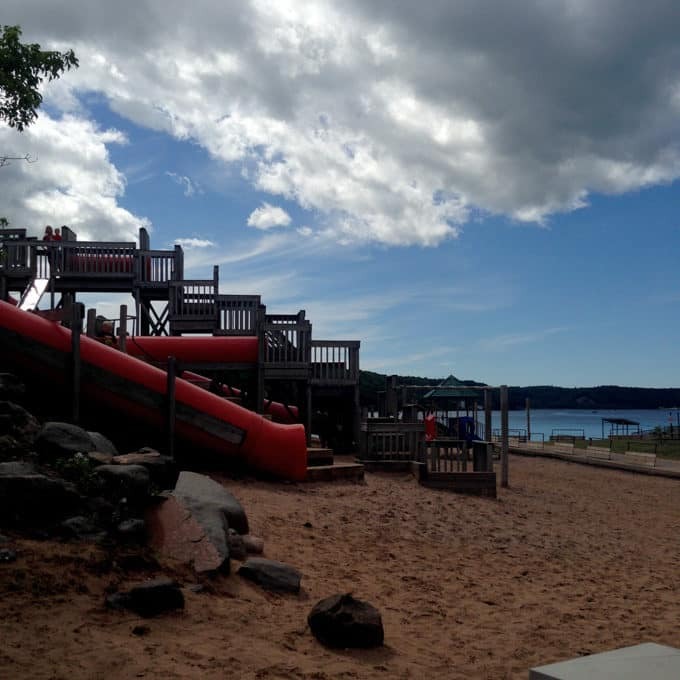 Today I’m going to share a travel guide for Houghton, Michigan! Houghton is a small town in the Upper Peninsula of Michigan. 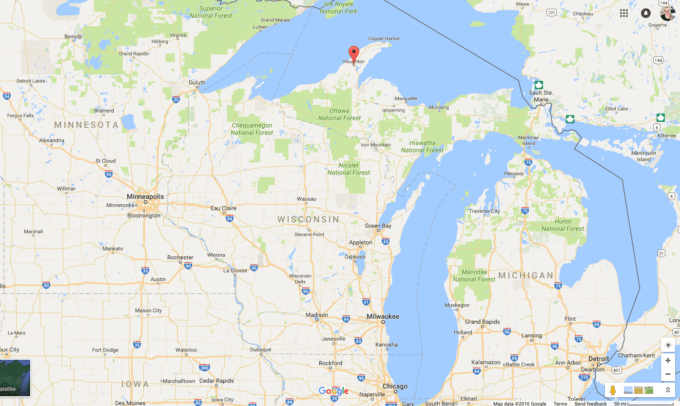 We live about 100 miles from there, and last week decided to join Matt on a work trip to Houghton. This meant that while he worked we got to explore! 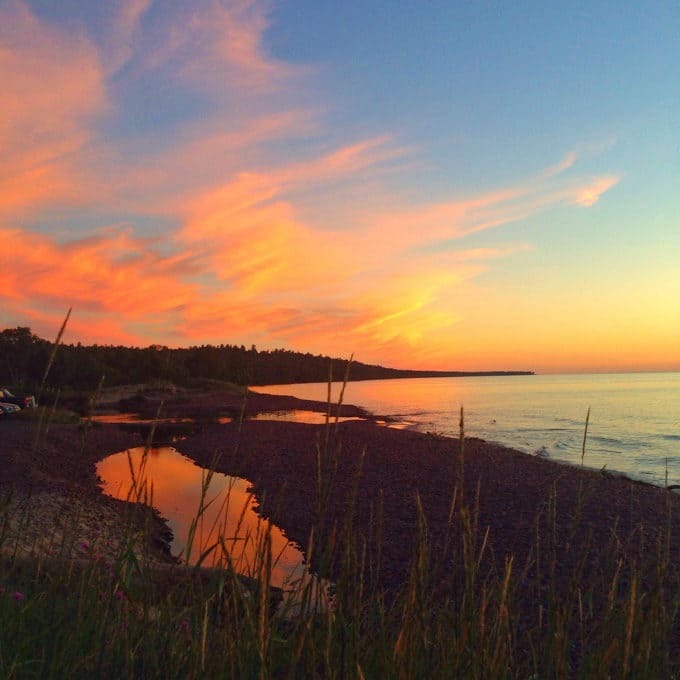 One of my best friends from college is a Houghton native who showed us all the best spots! Our goals were to find activities that were budget and kid friendly and these definitely fit the bill! After spending two days here, I’m convinced that everyone needs to visit the UP (Upper Peninsula). Between the slow pace, the simplicity, and the beauty of it all it is an experience that is unforgettable. 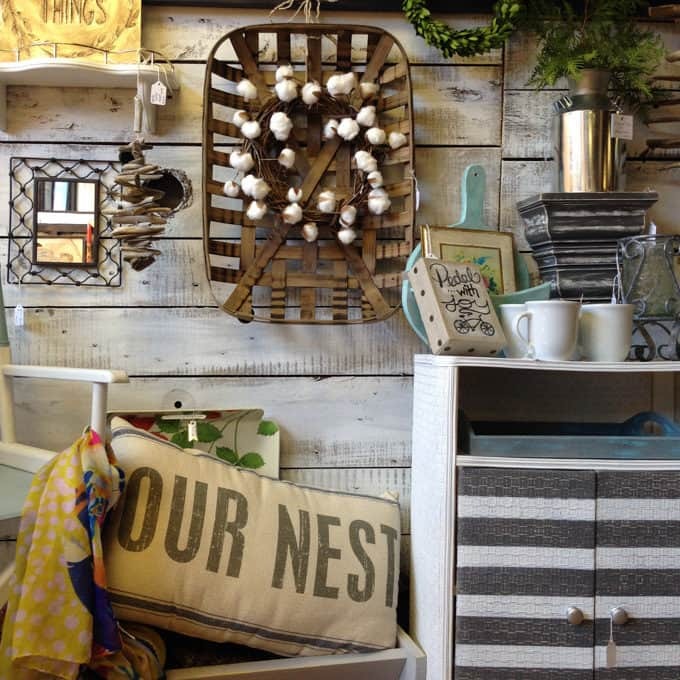 –Urban Rustics– We started our visit by checking out this amazing vintage shop downtown Houghton. They had two floors full of affordable vintage finds. I left with some vintage books, a few old sign letters, some candlesticks, and a pair of earrings. 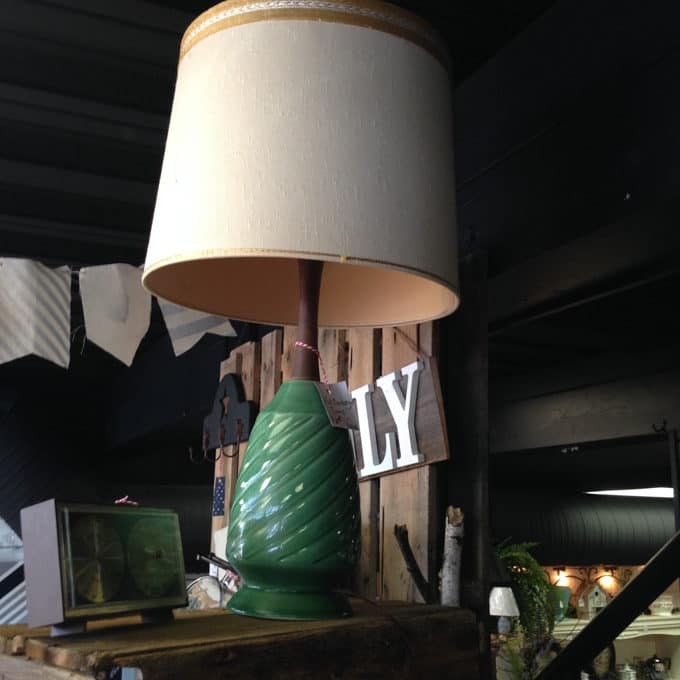 I was also seriously tempted to buy this green Mid-Century lamp, but decided to leave it for the next lover of green vintage lamps. –Steep & Brew– OK, so this coffee shop was actually IN Urban Rustics, but they also have a drive-thru. All of their beans are organic and fair trade certified. I had a iced macchiato that was amazing. If you’re looking for a great coffee in Houghton I highly recommend this place. 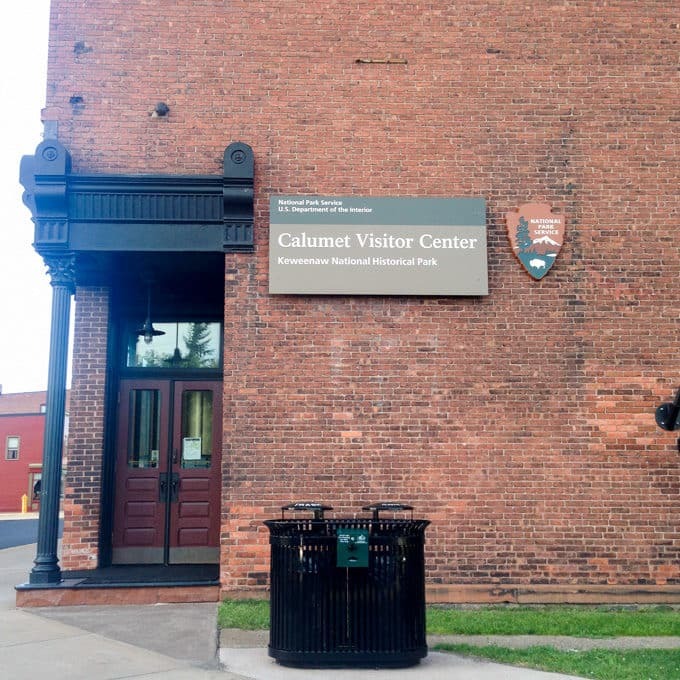 –Calumet Visitor Center– This visitor center is free an open to the public and gives a great picture of the mining history of the Keewenaw. It even has a huge lego room where kids can recreate old mining structures and buildings. I also loved the design of this building! 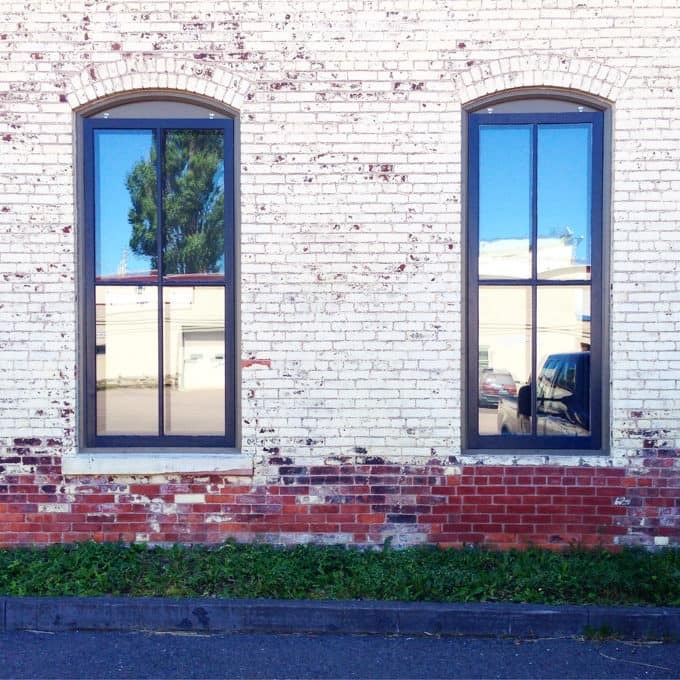 –Cafe Rosetta– This cafe is just a few steps from the visitor center and was wonderful. For being in a fairly quiet town this coffee shop was hopping! Their desserts are homemade and everything here smelled amazing. The gooey brownie that we shared here might have been the best brownie I’ve ever had. 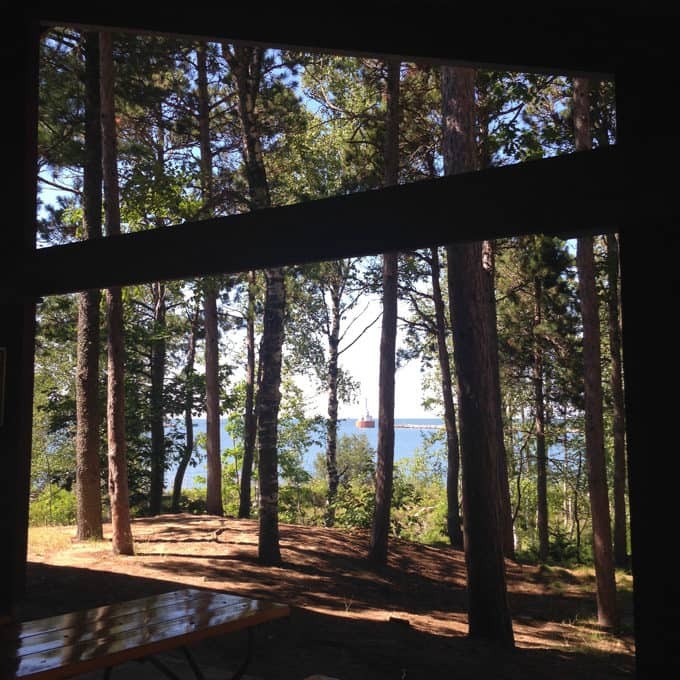 –McClain State Park– This park is about a 20 minute drive from Houghton and is definitely worth it. The North Entry to the Portage Canal is here with long breakwalls that we walked out on. 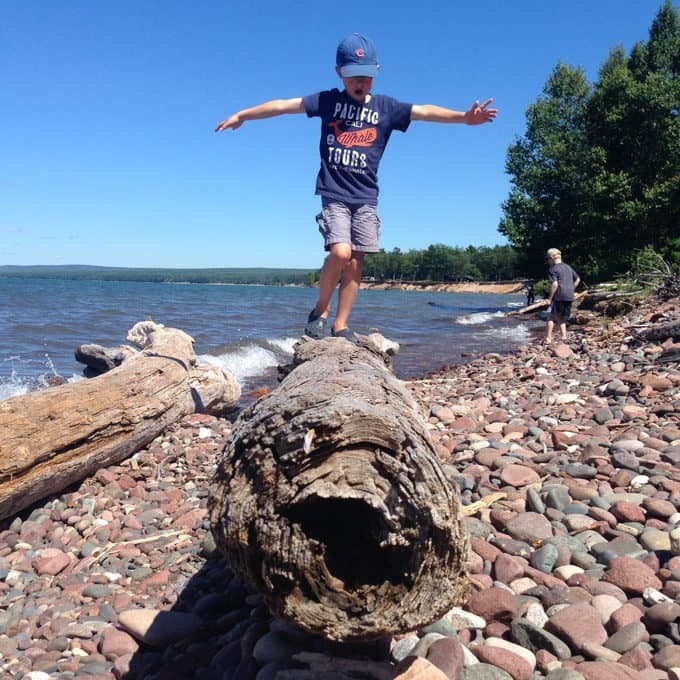 We also had fun collecting sea glass, driftwood, and the finding the best rocks for skipping here. 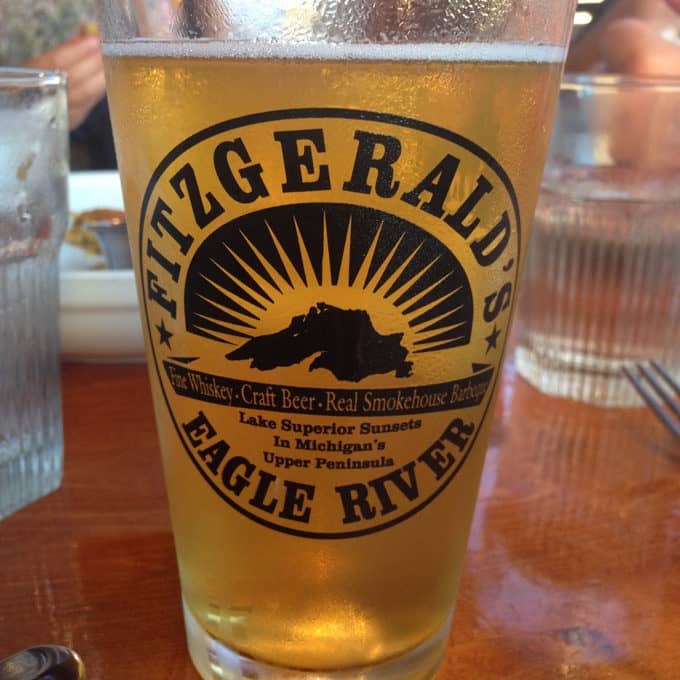 –The Fitz– Touring with a local meant she had the foresight to make us a reservation at “The Fitz” in Eagle River. This restaurant is about a 40 minute drive from Houghton and worth every minute of it. They smoke all of their own meats and make their desserts from scratch, resulting in one of the best meals I’ve had in a long time. 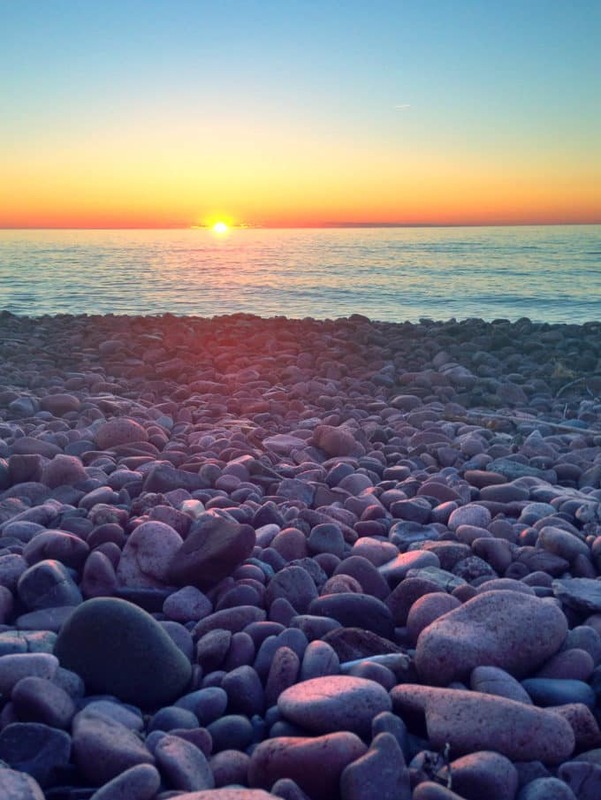 It’s also located right on Lake Superior so our 8:30 reservation made for perfect timing with a gorgeous sunset. –Houghton Waterfront Trail– After eating our hearts out we were in serious need of some exercise. The Houghton Waterfront Trail was a nicely paved path that ran all through Houghton along the canal. We brought our boys’ Razor scooters and this path was perfect for them. It also had great views of the neighboring town of Hancock. 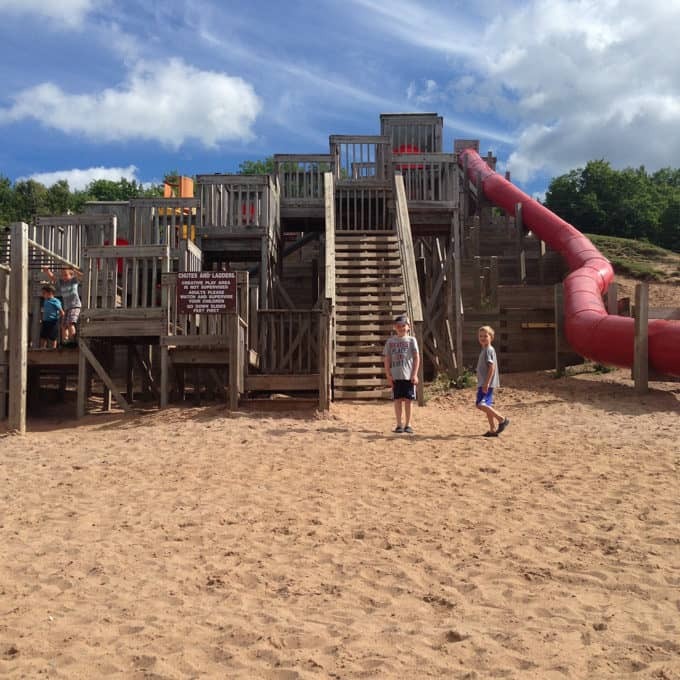 –Chutes and Ladders Playground– We made sure to end our waterfront walk here with plenty of time for the kids to play. They declared it the “Best Playground Ever”. It also had plenty of shady spots to hang out while they played. We actually visited this playground twice in the two days we were there! –The Ambassador– This is the one restaurant that you absolutely can’t miss in Houghton. 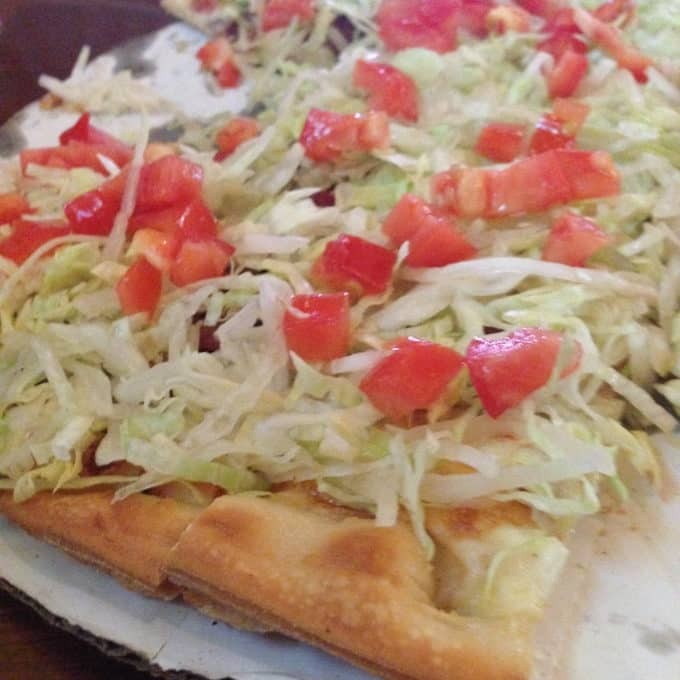 Their pizzas are unique combinations such as the “Tostada Pizza” with taco sauce and fresh lettuce, and the “BLT Pizza” which is my personal favorite. I could probably survive on their BLT Pizza alone! Hello! Thanks for your cool blog on the beautiful up! It’s cool to see the place I live from a tourist eye! Thank you for stopping in our shop (urban rustics) and trying our amazing coffee (steep and brew) we look forward to your next visit!! I’m so glad that you found my blog! I stop in at your shop every time I’m in town! Last weekend we even had to stop in-between hockey tournament games! Your shop is amazing and I always look forward to getting to stop by!